For those who would like to see more of the province of Seville and surroundings, its beautiful mountain area, doñana park or the way to the coast, we have several maps and routes available. Andalucía Tours and Discovery can advise you where to go, where to eat and what to see. Our experts will show you exactly where the routes are or give you the GPS track that you can download in your mobile device. 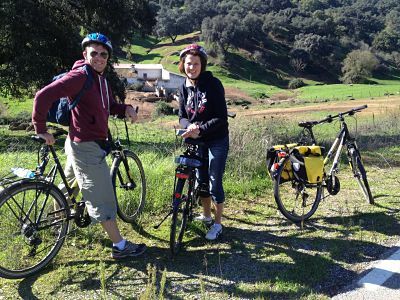 You can choose trekking bike, mountain bike or road bike routes for a day or even several days. We have the best bikes for you. Our brands, Specialized and Kalkhoff garantee you the best experience. Tours are also possible to book. Need a hotel, luggage transfer and advise on where to go on your bike trip? We have got several offers for tailor made bike trips from 2 days on.